When asteroids are coming to destroy the Earth, humanity relies on the Asteroid Fighters to save the planet. 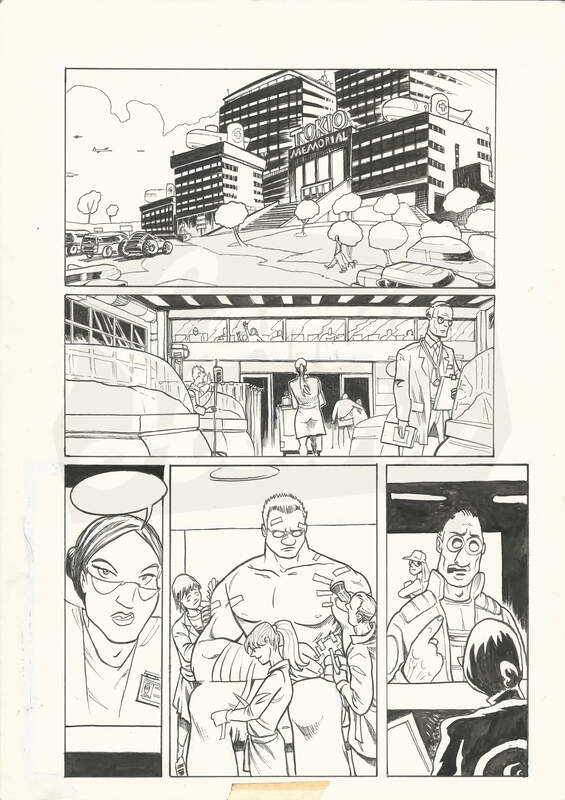 In this page, several Asteroid Fighters members visit the hospital to recruit one more member for their ranks. These are the original pencils and inks for the 28th page of the second volume of the series in an A3 (29.7 x 42.0 cm / 11.7 x 16.5 in) format.